What Paradigm 3 can do is … manage the registration of laboratory incidents and subsequent corrective action process. 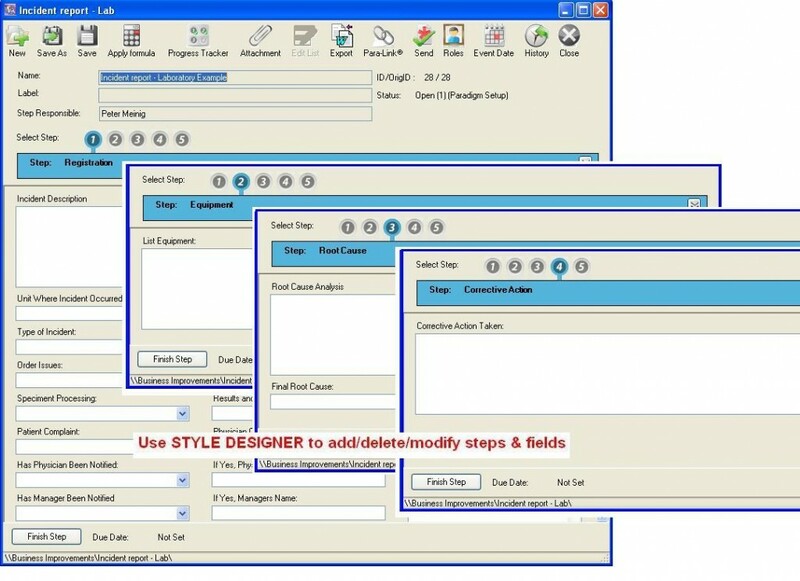 The registering, risk and action methodology is designed as a style with a new page and fields to be completed for each sign-off section using the Improvement module. Attach reports, photo’s, emails etc. to each incident or accident. Paradigm 3 is supplied with a Incident report – laboratory style ready to go, or you can design your own. To record and manage incidents or accidents, you can purchase the Improvement module.